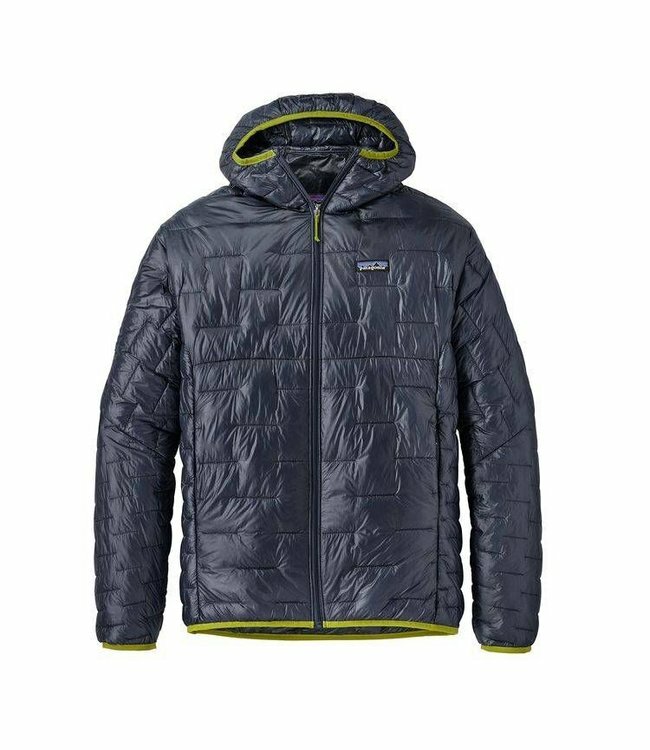 Warm, windproof, water-resistant—the updated Nano Puff® Vest uses warm, incredibly lightweight and highly compressible 60-g PrimaLoft® Gold Insulation Eco with 55% post-consumer recycled content, wrapped in a 100% recycled polyester shell and liner. Sometimes shiverproof protection comes in small packages—like our Nano Puff® Vest. It punches above its weight, trapping your heat with 60-g PrimaLoft® Gold Insulation Eco—now with 55% post-consumer recycled content, and still the most thermally efficient synthetic insulation available—wrapped in a windproof and moisture-shedding 100% recycled polyester ripstop shell with a DWR (durable water repellent) finish. The vest has a shaped fit and a soft, wicking interior storm flap and zipper garage for chin comfort. Other fine points include a drawcord hem, two zippered handwarmer pockets and an internal chest pocket (with clip-in loop) that doubles as a stuffsack. Lightweight, 100% recycled polyester ripstop shell and liner fabrics have a DWR (durable water repellent) finish The most thermally efficient synthetic insulation available now with 55% post-consumer recycled content, 60-g PrimaLoft® Gold Insulation Eco is water-repellent, highly compressible and maintains 98% of warmth, even when wet Brick quilting pattern with narrow horizontal quilt lines on side panels stabilizes insulation and uses durable thread for abrasion resistance Center-front zipper has wicking interior storm flap and zipper garage at chin for next-to-skin comfort Two zippered handwarmer pockets have cleanly finished zipper garages; zippered internal chest pocket doubles as a stuffsack with a reinforced carabiner clip-in loop Drawcord-adjustable drop-tail hem seals in warmth Shell and lining: 1.4-oz 22-denier 100% recycled polyester with a DWR (durable water repellent) finish. Insulation: 60-g PrimaLoft® Gold Insulation Eco 100% polyester (55% post-consumer recycled content). Fabric is bluesign® approved 206 g (7.3 oz) Made in Vietnam.